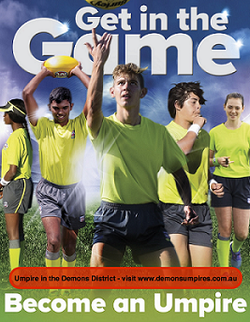 The Demons District Football Umpires Association is looking for new field umpires in 2017. Join us and learn how to umpire Australia's Game. We are extremely proud to boast 2 current AFL umpires from our Association, Dean Margetts (WAFC Umpire Development Manager) and Brett Rosebury. 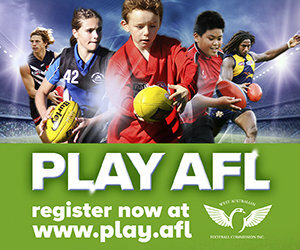 If you love AFL football and want to be an important part of the game then umpiring is for you. Anyone, regardless of gender and age, can become an umpire and find it a rewarding experience. Get in the Game now! Training commences on Wednesday 1 March 2017.